Happy New Year everyone....it's all terribly exhausting round this time isn't it. Hope you have been able to pick up your overeaten and overdrunken bodies up from new year celebrations and will hurl yourselves into the new year with gay abandon. Forget resolutions - just get through it without too many dramas I say. My schedule is fairly full on at this time of year. 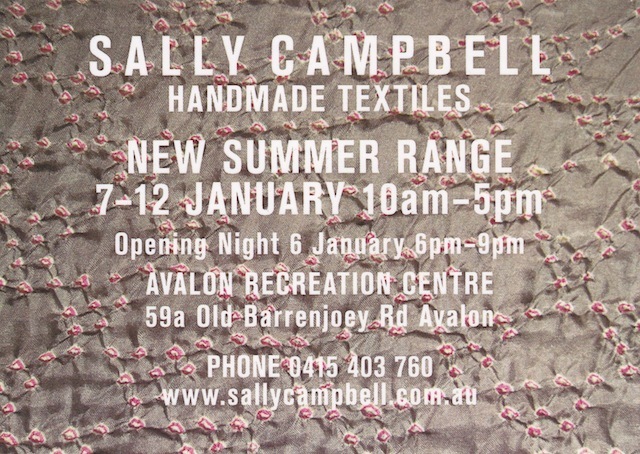 Next week I am off to the Northern Beaches for my summer new year show. Always enjoyable. It is a different world on the peninsula. Everyone wears hardly any clothes and operates on African time, permanently blissed out and on holiday. I feel like an urban chic running amok amongst surfers. As soon as the beach gig wraps up I am off to the Jaipur literary festival for fun and r and r......then into exciting new work experiences ( i hope) in Bengal and Delhi not to mention all over Rajasthan. 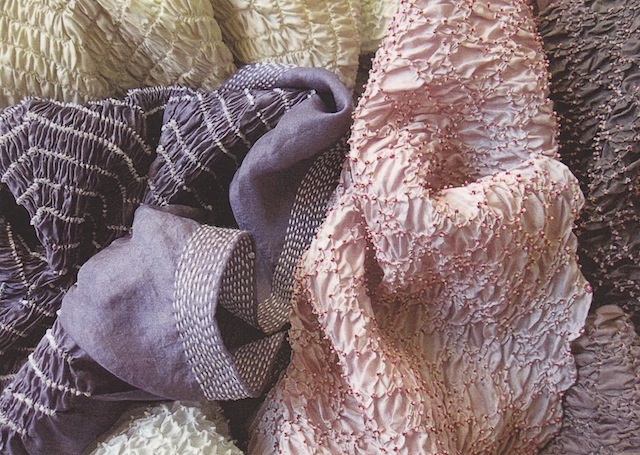 Going to India keeps the passion alive and is my permanent textile teacher. When I return in February I hope the ideas will overfloweth and wonderful new pieces will be created. Love to you all and I hope some of you laid back beach bloggers can make the exhibition. i have loved reading and looking at your Blog world.